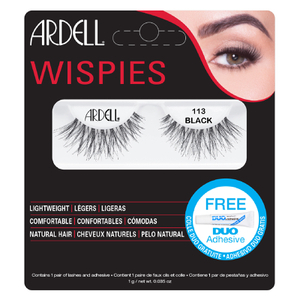 Delivering intense volume, Ardell Double Wispies 113 lashes allow you to create a dramatic eye look. 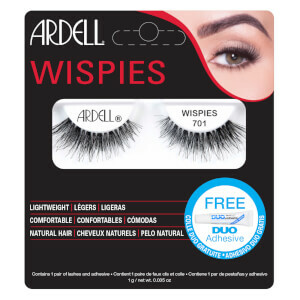 Lightweight and comfortable, the dual-layered lashes are stacked onto the brand's signature invisiband® for undetectable wear. 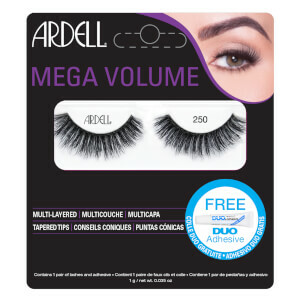 Includes a mini DUO glue. 1. Juster invisiband med den naturlige vippelinjen for å sjekke passformen og trim ytterkanten om nødvendig.